More than 300 people died of the cholera epidemic in Ogaden during the last 72 hours. Thousand are also at life-threatening stage with no medicine or health support. Although most of the towns in Ogaden are affected, the disease is creating havoc in the rural areas, where there are no health facilities or emergency provisions. Villagers are reporting that families find their relatives dead in the remote areas while tending livestock. Some are found days later, mauled by wild animals. Both the Federal government of Ethiopia and the regional administration are hiding the extent of the epidemic and are not providing the urgent help that is needed. The most affected areas are in the regions of Jarar (dhegahbuur); Nogob (to urge), Qorahay (Qabridaharre) and Shabelle. Similar deaths are reported in Doollo, Afdheer and Liibaan regions. 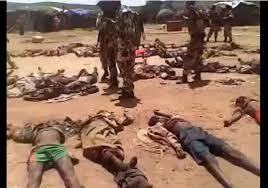 Since November, it is conservatively estimated that more than 2000 have died in the remote rural areas in Ogaden. The situation is further exacerbated by the drought and lack of adequate food or water and people are so emancipated that anyone affected dies quickly. Although both the UN and the Ethiopian government mention the drought and the Cholera (Acute Watery Diarrhoea (AWD) in their reports, no concrete action has been taken. The people are dying for a curable disease that only requires a few antibiotics. However, the Ethiopian government has deprived the Somali people in Ogaden of the ability to buy medicine or food in neighbouring countries by the ruthlessly imposing an undeclared embargo on trade and aid while barring access to international NGOs and independent media to most of the Ogaden. ONLF urgently appeals to the World Health Organisation and UN agencies to heed the call for help from the Ogaden people and take urgent action in Ogaden regarding the drought and Cholera. Visits and reports are not enough. The Ethiopian government is committing a crime tantamount to genocide in preventing the Ogaden people from having access to medicine and food - an inhumane and heinous act. ONLF calls upon the AU, EU, USA, the OIC, ICC, and other donor countries to press the Ethiopian government and the UN to act urgently to alleviate the calamity that is unfolding in Ogaden - specifically, to allow international NGOs to provide urgent medical relief and food aid to the rural agro-pastoralist community. ONLF calls upon the Somali people and all peoples in Ethiopian to highlight the issue to the international community and offer their support. wow. as sad as this is, foreign countries need to stop calling on the USA for everything. we have millions of homeless starving on our streets. we have veterans going without medical care, living on the streets, after rescuing other countries. AFTER we rescue our own, then we'll go rescue others. We've had 8 years of a worthless president, doing nothing for OUR people and sucking up to the muslims of the world, we finally have a PRESIDENT FOR THE AMERICAN PEOPLE. FINALLY. He's going to take care of us first for a change.... Thank JESUS!! You probably should not have said anything at all. I have no doubt it was probably an American Zionist Eugenicist who did this with some sort of vaccination drive. Exactly Connie Williams, it is not up to us to give to the rest of the world when no one offers to help our people when disaster hits us. We are not the keepers of planet earth. Charity begins at home. Why don't the oil rich nations do their fair share to help the less fortunate people. We are close to becoming a 3rd. world country ourselves thanks to the invasion of freeloading illegals who are here stealing our wealth. First of Connie WIlliams for someone who can mention Jesus you certainly aren't sounding like a spirit-filled Believer. In fact as already stated Jesus would be compassionate and exude it to those in need. And to the other character who said "Charity begins at home" you should really shut up! Part of the reason many "third world" countries are suffering is because THIS county, the "great" old United Snakes of America strangles the resources in other countries, draining them of their ability to survive. Then comes in offering "aid" only to subjugate it's people. You can miss me with your self-righteous attitude of American superiority. What would Jesus do? Jesus said that those who don't provide for their own are worse than an infidel. That's what Jesus said. Hang in there Connie, I wonder how many do gooders will open the wallets to help these people. Many would prefer Our Government send over millions of dollars (that don't even come from taxes, but are borrowed from the FED). And for the Jesus believers, why don't they go over there and lay hands on them and heal them, (because they can't). Antibiotics are of very minimal value in the treatment of cholera. The treatment is immediate fluid, salt, and sugar for rehydration. The worst cases need massive amounts of IV fluids. In a remote population already weakened by malnutrition and drought, rescue efforts would be extremely challenging for any government or charity organization, particularly given the rapidity of which this disease kills. WOW, JUST KEEP SEND MORE BILLIONS TO SPACE AND INCREASE THE THE EXPENDITURES FOR ARMS, GUNS, TANKS, SHIPS AND THE MILITARY AND IT WILL SOLVE ALL THE WORLDS PROBLEMS. Connie I agree with what you said but it is also important to help others too. Obama has done what you said and now we need to give time to Trump to right many wrongs. Annonymous is right as well. Paul is also right about the treatment. We all look at things in different ways so lets start looking to solutions and not what is wrong from your viewpoint of what somebody said. What can WE do? We must continue as a Christian nation to be sensitive to remote areas of our world that have no access to basic medicine & food. Yes, there are folks here in the US that need attention, however, please compare the available resources to those of us here in th he US in contrast to the resources in the 3rd world countries. There really is no comparison. There is little reason for folks to go hungry here in our country or not have basic access to medical care. Some just choose not to seek it. There is a homeless crisis here, & it needs addressing. Folks here just have so much more available. Last time we tried to help Ethiopia most of the aid materials/money went to the corrupt government officials. Best way to help is to help organizations that are actually there helping those that are ill (i.e Doctors Without Borders). looks like Connie is the only one with a name. Just another example of how worthless the UN is. Isn't this the kind of thing they're supposed to help with? Instead, all they do is try to take over as the globalists world-controlling gov't. Connie is partly right, Anonymous is partly right about the vaccines, the higher up elites drool over deaths like these as they want all of us (in the world) to die off leaving maybe 900,000 people worldwide. The reason you see the UN not really digging in and doing something good? They are part of the NWO Elite world population control. Which reminds me of a video today of Pope Francis kissing the hand of Kissinger, Rothchild, and Rockefeller's hands. Religion will not help, God is not in a building or a temple or a religion. Money thrown to feed the evil greedy govt leaders will not help, Red Cross will not help, They are part of the NWO depopulation agenda, research them. Independent doctors, nurses and private citizens are the only ones and if and when they are attempting to help, they will be in danger. This is reality. The NWO elite world govt leaders do not want these people to survive. Yes, it makes us sad, but it should also make us angry. And, it should make us pray for the world because there are millions of others starving at this very moment and it will just get worse, not better. The elite's are right at this moment culling cattle, chickens and turkey's and fish claiming that the fake H5N1 is killing or making them ill, when they are making people and animals sick with vaccines with added diseases. I got my last flu vaccine in Nov 2012, and it was the last time i got bronchitis, then it turned into pneumonia. That was about the time i woke up to what was really going on in the world. Before stopping vaccines, I would get chronic bronchitis about every 3 months and pneumonia at least once a year. Before that i always got vaccines for flu, pnumonia, H1N1, Swine Flu, now i will never ever ever get another vaccine or shot, they can KEEP them!! Research vaccines!!! I don't believe in throwing money at nation's for help, that we knew good and well will be used to produce weapons on war, and they will not help their people! However, when you have people dying like this, there definitely needs to be emergency intervention. A government who will not help their own people needs to be taken down! If your child was one of these dying..you would definitely want the help! While the Father teaches us to work and stand on our own two feet, these people are not allowed to, and we must then become the good Samaritan. How do you suppose to enter into a country that will not allow you to enter into to help?